Terrific value in a half chap that does the job. 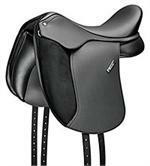 Wintec 500 Pony Dressage Saddle 16"
A great synthetic child's dressage saddle. A classic kids show shirt at a great price. All leather for the show ring. 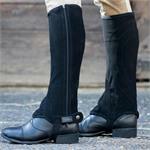 Easy on and off jodhpur strap for the show ring. Stirrup Leathers with 1/2" Holes in Lengths from 42"- 60"
Great quality stirrup leathers in a range of lengths and widths. 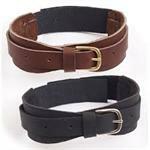 KL Select Half Hole Stirrup Leathers in 42"- 63" Lengths. 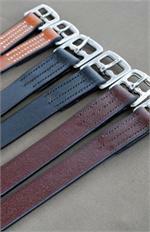 Beautiful English leather stirrup leathers in a range of lengths and widths with 1/2" holes. A good basic show jod at a great price. 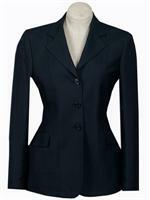 A great looking show coat for girls. 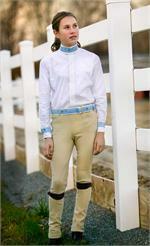 Fun kid's cotton knit breeches at a great price. A great close contact saddle in a 14" size. 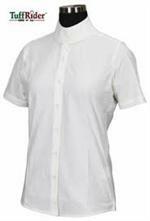 A beautiful dressage show breech for girls. A well priced children's pull-on breech. A fun kid's breech with a pretty floral pattern detail. A tried and true favorite. A great kid's show jod. 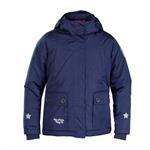 Great everyday or show breech. 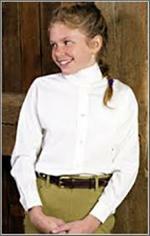 A simple kid's white show shirt. 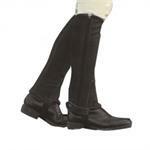 Dublin Suede Half Chaps - Available in Kids Sizes!